Finally, I've stumbled across something really great, something I'd only scratched the surface of up until now, something that's all come together for once and all! Ai Aso just released an album called Chamomile Pool on Pedal Records and it's really something else. A wonderful blend of folk, psychedelic pop, that charming sort of Japanese twee, and a little bit of heavy rock. It should first be mentioned that Ai Aso also recently released a 7" single called She's So Heavy. The b-side is a song by Wata ... who is otherwise known as the woman in legendary sludge/doom rock group, Boris. So there's one bizarre connection. Secondly, both Ai Aso and Boris have worked with Michio Kurihara ('member Rainbow? ), although Ai Aso in a more covert way: she's married to him! Not only that, but Kurihara plays guitar on the bulk of Chamomile Pool! And, and, and ... both Kurihara and Aso played in White Heaven. The list goes on. I don't know if this is such a shocker to all of you, but it's really damn cool to me! Such a small world ... Boris to Michio Kurihara to Wata to Ai Aso ... and they somehow all end up on the same record, on the same label, on the same something! Amazing. Thank you for posting great music. I love them. You writes that Aso Ai is married with Michio Kurihara. If it's true, it would be great, for both are greatest musicians in Japan! But in Japan we never heard that they have married. How did you know it?? Is it well-known now in America? 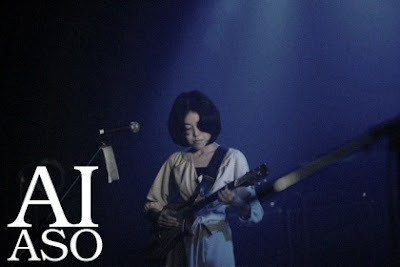 By the way, Aso Ai did not play in White Heaven, though she gigged with The STARS together some times. Anyway thank you for nice notes!